Cohen Center for the Arts and Cohen Gallery were created by the generous gift of Michele and Martin Cohen, parents of Adam Cohen, Class of 2003. Cohen Gallery exhibits the work of Alfred University alumni, faculty, and visiting artists. The Gallery provides Alfred University students with hands-on experience in arts administration, community development, marketing and public relations, design, and management. Students assist in all facets of the exhibitions, from designing the space to preparing promotional materials and acting as docents during the shows. 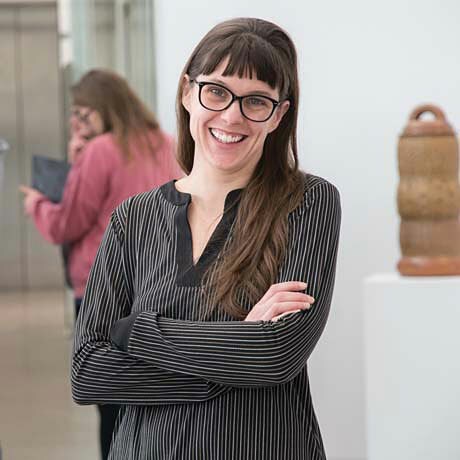 Cohen Gallery seeks to create opportunities for students, faculty, and alumni to engage in the professional activities of curating and organizing art exhibitions from the ground up, thus providing valuable experience in the business aspects of art. Cohen Gallery also provides a supportive environment for exhibitions that serve regional constituencies, such as regional arts councils, public schools, and exchanges between regional art programs at the university level. 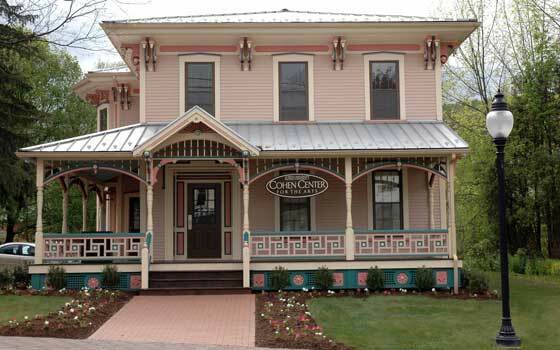 Alfred is home to many artists and artisans who have put down roots in our magic valley. The Cohen Center Gallery, an historic and intimate setting on Main Street in Alfred, presents an exhibition of works by the makers in our midst. 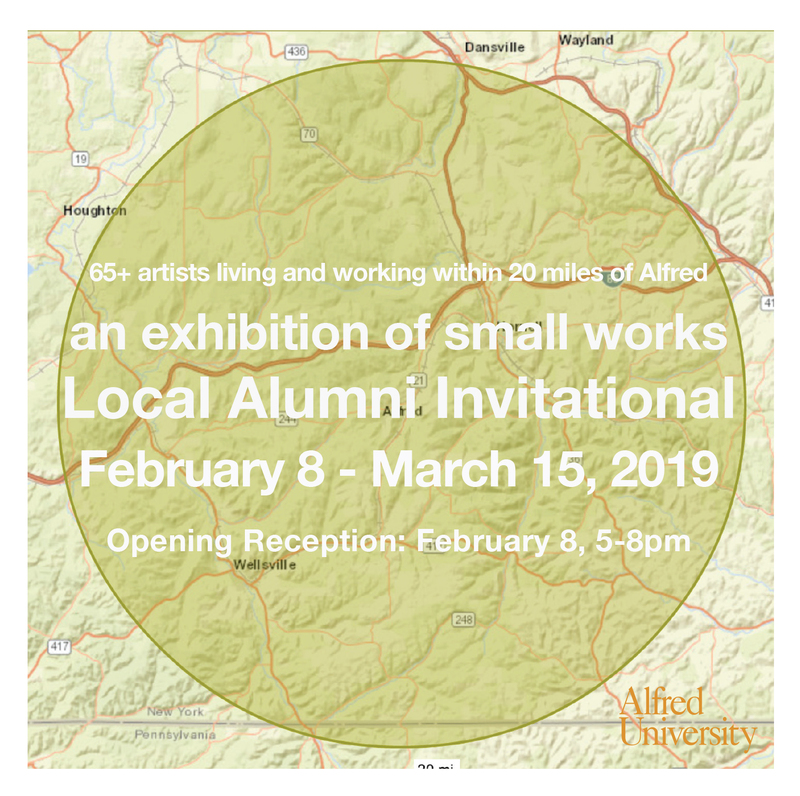 Of the more than 120 artists invited, over 70 Alfred University alumni living locally (within 20 miles of Alfred) with a BFA, MFA, B.S.Ed., M.S.Ed, or those who have attended summers school have work on view. The exhibition, which opens with a reception on February 8 from 5-8pm will be on view through March 15, 2019. View the PDF version of the flipbook. Fitting In and Standing Out showcases a comprehensive sampling of Monica Duncan and Lara Odell's work, starting with the collaborative pieces they created while at Alfred (they met in 2000, when Monica was a BFA student and Lara was working at the IEA as Technical Associate) and ending with their most recent individual projects. In Duncan and Odell's collaborative works, a recurring theme is the close observation of how bodies fit in or take on the qualities of their environment. Whether it be in a physical space or on a 2-dimensional surface, the artists play with how bodies blend in and out, mimicking shapes, colors and gestures, and in doing so, rearrange the figure-ground relationship. 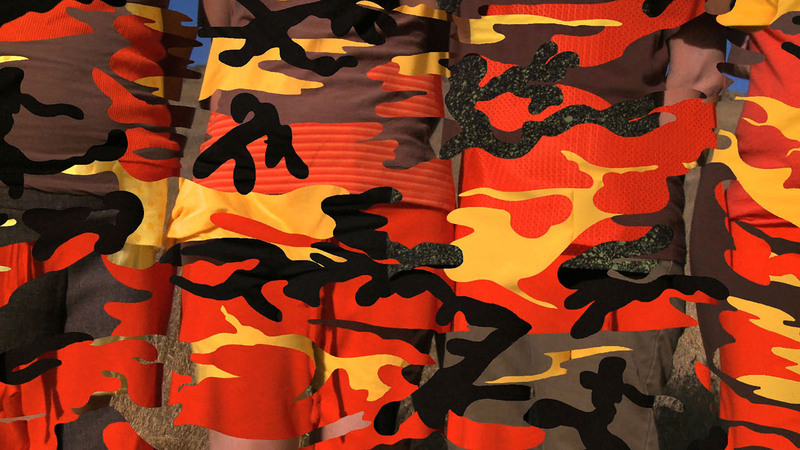 Utilizing custom garments and other props as extensions of the body, Duncan and Odell are interested how we experience and perceive bodies and objects in space-how to be simultaneously seeing and the ones being seen? Although in different capacities and interpretations, the idea of the "cut-out" has been a common trope in both Duncan and Odell's collaborative and individual artworks. Duncan plays with the notion of the cut-out in video-based performance pieces, using sets, luma-keying and other processing effects and props; Odell takes the concept into the realm of painting and drawing, merging the two practices. Both explore ways in which the body and objects mimic or defy their surroundings; where they deviate, Duncan uses actual bodies and props; Odell creates paper representations. Odell's cut-outs play with ideas of transience, mutability, the fragility of identity. She uses cut paper and paint to create figurative scenes, calling to mind the artifice and ephemeral nature of being. About the Artists: Monica Duncan and Monica Duncan and Lara Odell began their working relationship and friendship at Alfred University in 2000, when Monica was an undergrad art student and Lara (BFA '98) was the Technical Associate at the Institute for Electronic Art. Their first collaborative project, Antibodies (2002), was realized both at Alfred and the Experimental Television Center in Owego, NY. Home to studio space dedicated to Freshmen Foundations students, Cohen Studios provides a wide open, versatile space for a variety of works of all shapes and sizes to be created and presented. Bright, young artists are introduced to the space as part of their orientation and is leveraged throughout the first year and beyond. Cohen Studios provides a significant amount of the over 126,000 square feet of studio and classroom space available to art and design students. In addition to its use as dedicated studio space for first-year art and design students, Cohen Studios is also frequently the preferred venue for senior thesis exhibitions, art shows, performances, and receptions. Cohen Studios is conveniently located on the same property as Cohen Gallery.